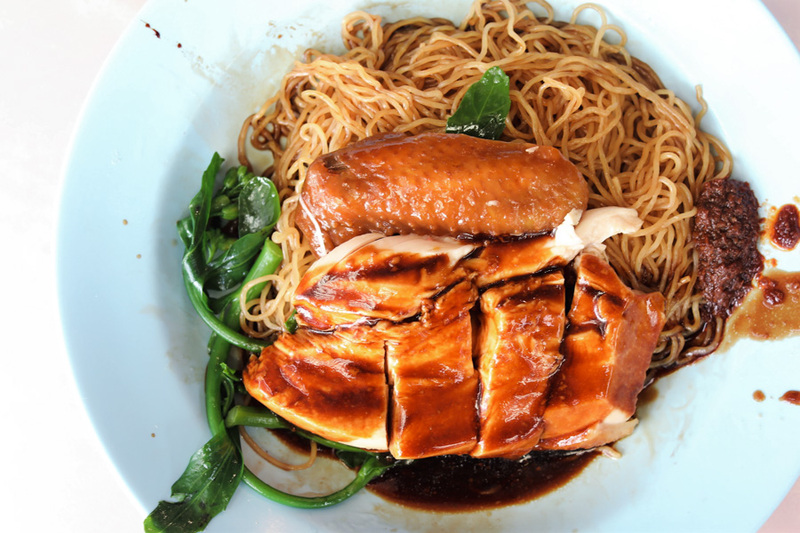 After Hawker Chan’s Liao Fan Hong Kong Soya Sauce Chicken Rice and Noodle won the Michelin star, I felt that there was somewhat a renewed interest in the dish. 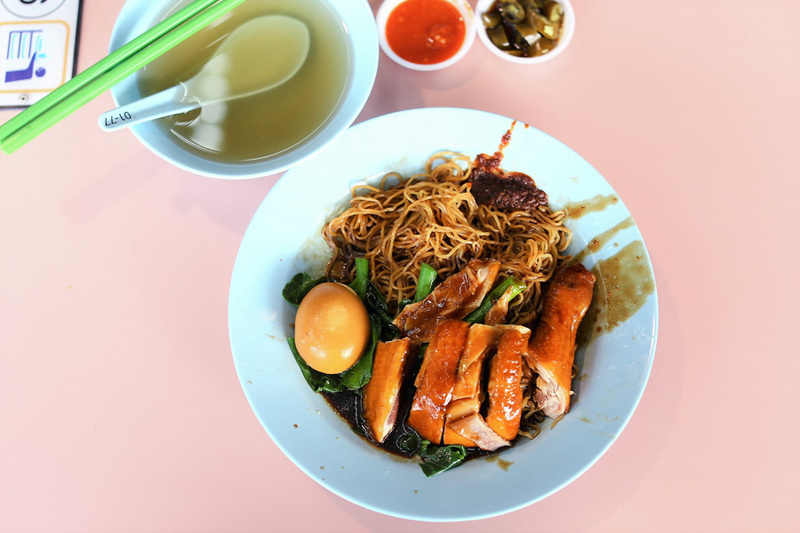 While many of the known places are located in the Chinatown area (eg Chiew Kee Noodle House, Original Chew Kee Eating House, Hai Kee Brothers, Maria Virgin Chicken), Xiang Jiang Soya Sauce Chicken 香江豉油鸡 at Alexandra is a worthy contender for one of the best Soya Sauce Chicken in Singapore. 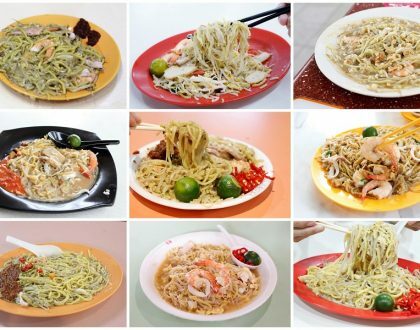 It is listed within the Michelin Guide with a “Michelin Plate”, though I think it does deserve a Bib Gourmand. 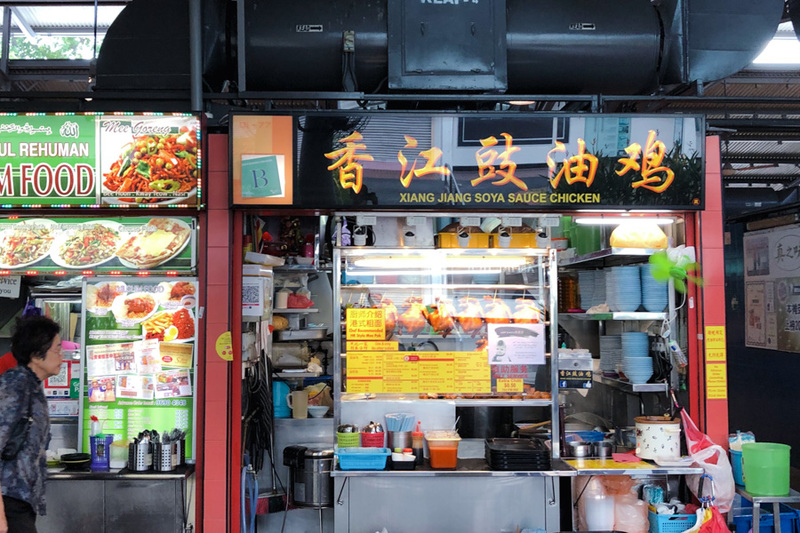 Owned by a chef who used to work in Raffles Hotel, the stall first opened at Jit Poh Building at Keppel Road. 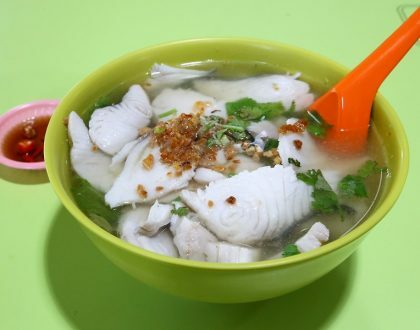 Later on, it relocated to Alexandra Village Food Centre. 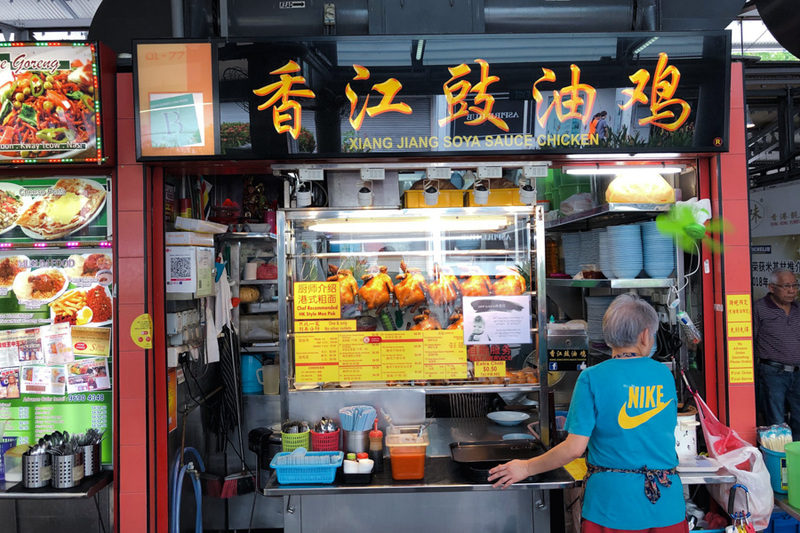 The stall’s specialty is the Soya Sauce Chicken, which you can enjoy as a whole ($18) with the family, or with either rice or noodles ($3.00, $3.50). 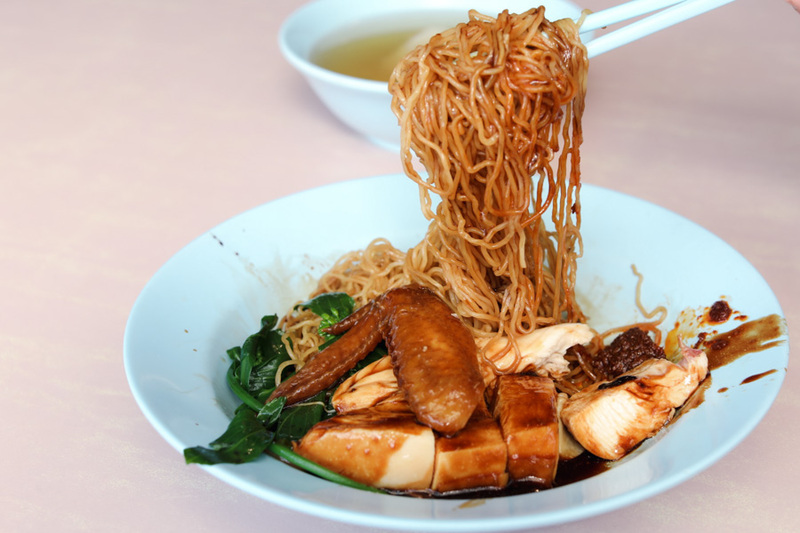 The Dry Soya Sauce Chicken Noodle ($3.50) comes with springy Hong Kong egg noodles, chopped chicken (50 cents more for drumstick), fresh kai lan, and the signature soya sauce. $3.50 for this plate of goodness is really quite a steal. 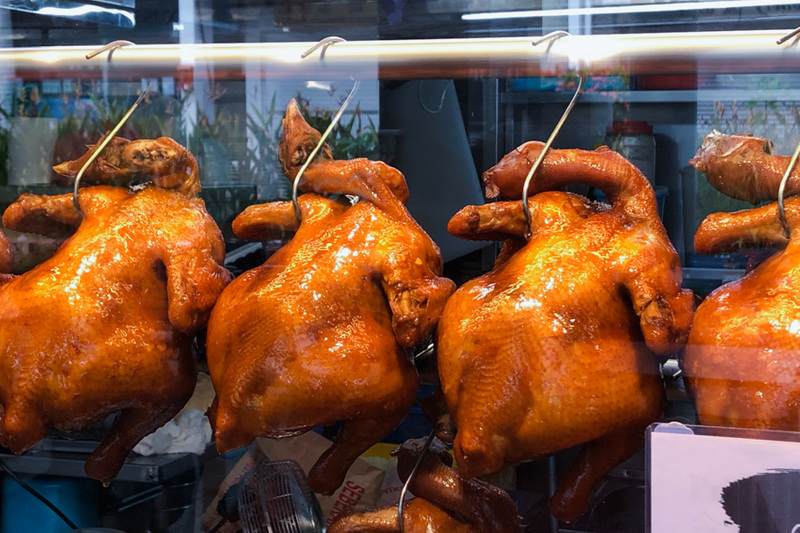 The chicken has a beautiful gloss, smooth meat with good bite (though may not be the best or most tender I had). 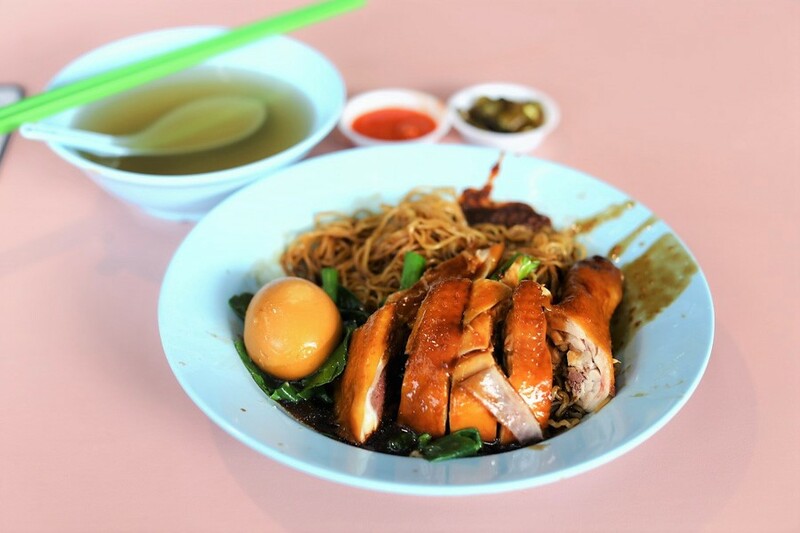 I liked that the eggs noodles were thin and springy, evenly coated in a soya sauce base which imparts a layer of flavour on the noodles. The chilli was on the spicier side, but I did not mind that at all. 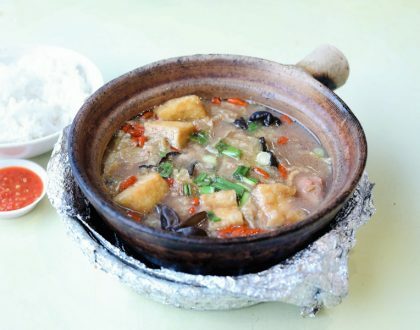 You can also add on sui gao to your order at just 70 cents each, each plump dumpling coming filled with minced pork, shrimps and black fungus. You can see the “Hong Kongness” from the execution, from the whole long stem of kai lan to the plump wrapped dumplings with a full shrimp inside. You may also order their Shrimp Wantons (90 cents for one), made fresh daily. 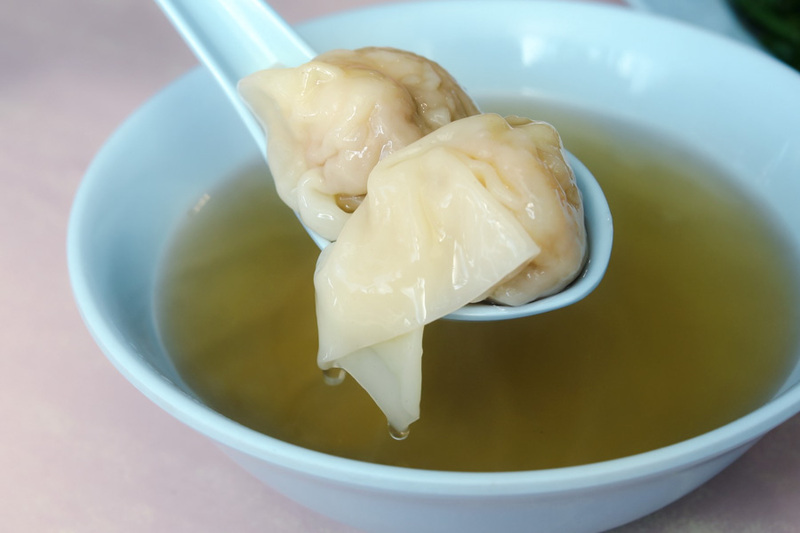 The soft wanton wrappers are filled with a generous blend of well-seasoned shrimps and minced pork, the type you would find in Hong Kong style restaurants. Not saying that the chicken was any bad, but overall it was those swee gao that left me the deepest impression. There is always a long line here in the morning, so be expected to queue if you come during peak hours.